Beast Kingdom is pleased to announce this stunning statue of Stitch from the disney classic Lilo & Stitch! The contours, expression, and atmosphere of the statue is based off the official sketches and pictures of this Miracle Land sculpture. Hand painted, this Stitch was given special attention to provide layered and shadow effects to bring out his adorable character. 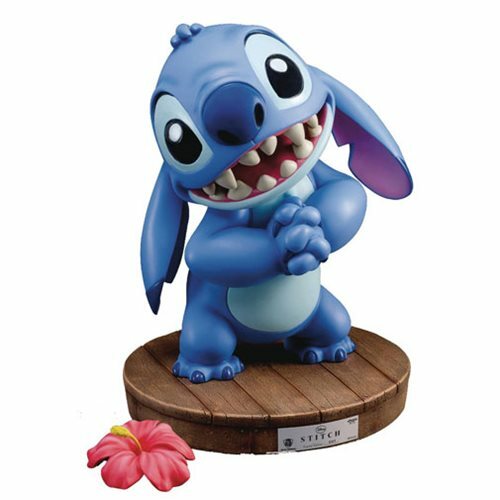 The Lilo & Stitch ML-004 Statue - Previews Exclusive features an exclusive metal name tag on a high-quality imitation wood base. Measures about 13 1/4-inches tall. Ages 15 and up.